Big Breakfast - Lucky is a trip back to breakfast. Yummy ce..
Big Breakfast - Flakes is a flavor everyone can relate to. ..
Big Breakfast - Trickz - Tiny bits of sweet, fruit flavored ..
Big Breakfast - Boo - How do you make a sweet corn puff cere..
Big Breakfast - Clapton Crunch - A carbon copy of this stapl..
Big Breakfast from Esnaxx is the breakfast cereal flavors you will love. 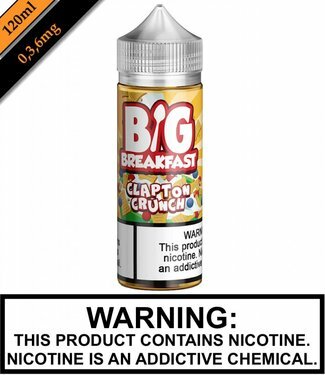 No need to run to the store for a carton of milk when you can just vape your breakfast.